Thanks for reading in 2014 — have a great holiday! Each month in Dodger Insider magazine, our Shutter Speed section showcases the best in Dodger photography from the previous month. 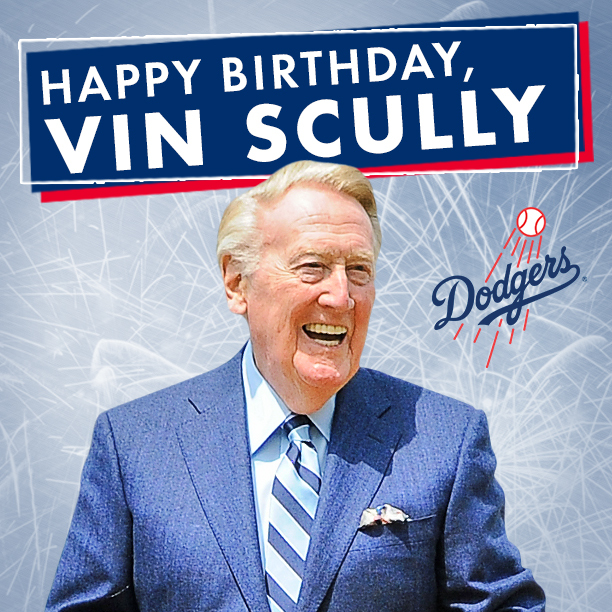 Enjoy some of my favorites from 2014, thanks to photographers Jon SooHoo, Juan Ocampo, Jill Weisleder and Patrick Gee. 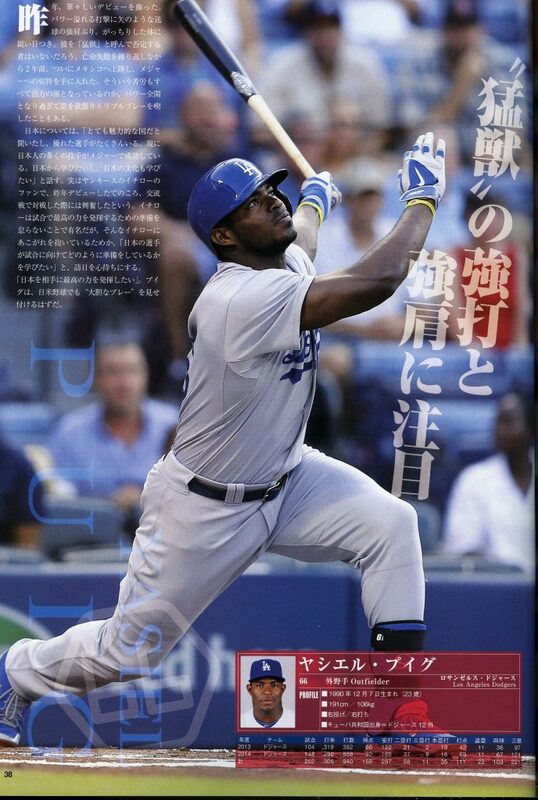 What does Yasiel Puig’s page in a Japan Series program look like? It looks like this. Thanks to Ben Platt of MLB.com for sharing. Drew Butera and the program cover follow. The Dodgers have acquired right-handed pitcher Mike Bolsinger from the Arizona Diamondbacks organization in exchange for cash considerations. In a corresponding move, the Dodgers have designated lefty pitcher Jarret Martin for assignment. 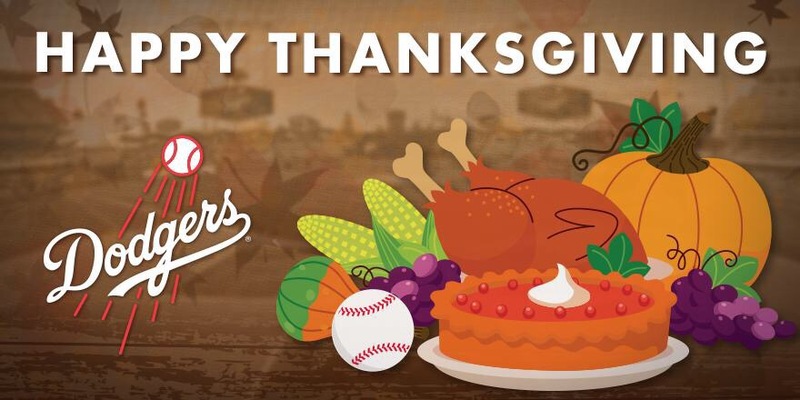 This week’s edition covers the trade with Tampa Bay, the Dodgers’ pre-Thanksgiving community endeavors, Dodgers Pride Night at the Kings game and more. 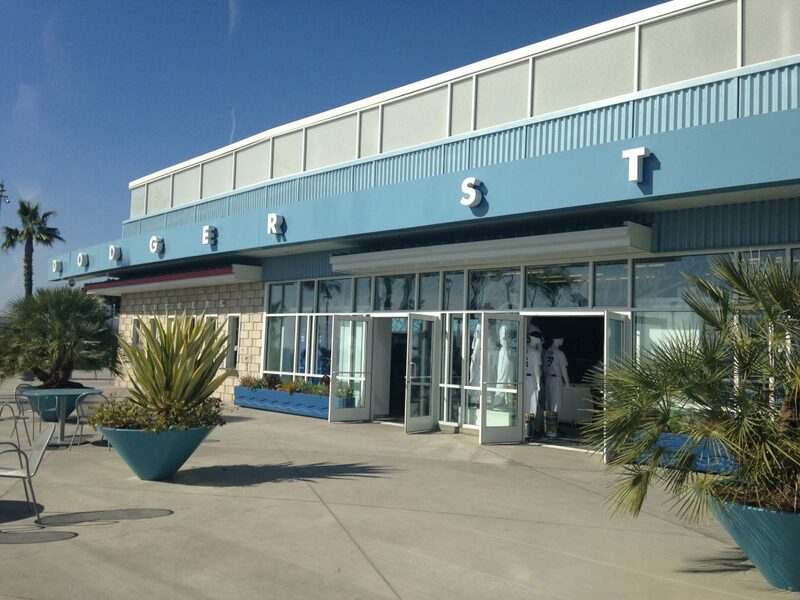 A special sales event — Blue Friday — will take place at Dodger Stadium on November 28 from 10 p.m. to 5 p.m. Select merchandise at the Top of the Park store will be offered at a 20 percent discount. Season ticket holders will receive this discount in addition to their regular season-ticket-holder merchandise discount with their Dodger Pride Rewards card. Levy Restaurants will offer concessions including Dodger dogs, nachos, peanuts and bottled beverages. Fans can also take photos with the Dodgers’ bobblehead character. Blue Friday also offers an opportunity to explore 2015 ticket options, including singing up for the 2015 season ticket and mini plans waitlists, and can also renew existing plans. 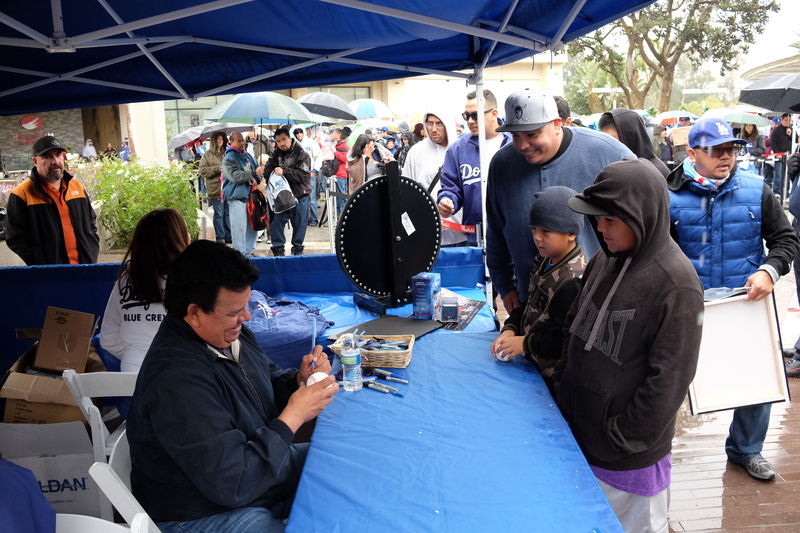 Fans can enter via Sunset Gate A, at the intersection of Elysian Park Avenue and Stadium Way, and park in lot P starting at 9:30 a.m.
Nomar Garciaparra, Orel Hershiser, Justin Turner and Fernando Valenzuela will sign autographs on the Dodgers’ third annual Southern California holiday mall tour in December. 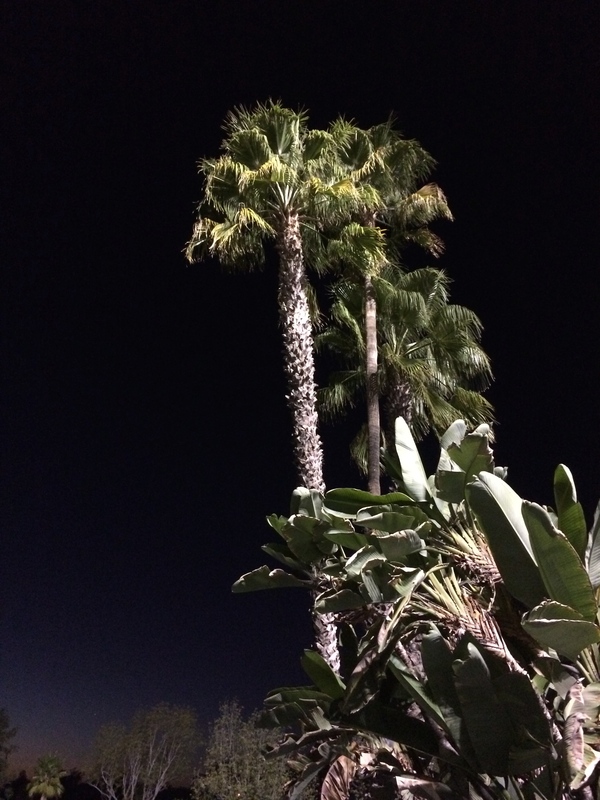 It was Friday morning in Tampa Bay but Thursday evening in Los Angeles when the Rays and Dodgers announced a trade: The Dodgers have acquired pitchers Joel Peralta and Adam Liberatore from Andrew Friedman’s former team in exchange for pitchers Jose Dominguez and Greg Harris. Peralta, who turns 39 in March, had a 4.41 ERA and 10.5 strikeouts per nine innings in 69 games for Tampa Bay this year. His ERA in 2014 was deceptive; according to Fangraphs, his xFIP (expected fielding-independent ERA) was 3.11. With Jamey Wright a free agent, Peralta takes the crown as oldest active Dodger from 35-year-old Juan Uribe, who was the senior senor for a few weeks there. Liberatore, a 27-year-old minor-league lefty who will also be added to the 40-man roster, had a 1.66 ERA and 11.9 strikeouts per nine innings in 54 games for Triple-A Durham. They join a Dodger bullpen mix that includes Kenley Jansen, J.P. Howell, Brian Wilson, Pedro Baez, Daniel Coulombe, Yimi Garcia, Brandon League and Paco Rodriguez, among others. Going to Tampa Bay will be the hard-throwing 24-year-old Dominguez, who struck out 12 in 14 2/3 career MLB innings while allowing 10 earned runs, and Harris, a 20-year-old righty who had a 4.45 ERA and 9.5 strikeouts per nine innings in 87 innings for Single-A Great Lakes. Ahead of tonight’s deadline to protect players before the December 11 Rule 5 draft, the Dodgers selected the contracts of pitchers Zach Lee and Chris Reed and outfielder Scott Schebler to the team’s 40-man roster. The Dodgers have 39 players on the 40-man, after reliever Onelki Garcia was claimed on waivers by the Chicago White Sox. Garcia, who allowed two runs in 1 1/3 big-league innings with the Dodgers in 2013, missed most of 2014 because of arm surgery before a brief return at season’s end for Rancho Cucamonga. 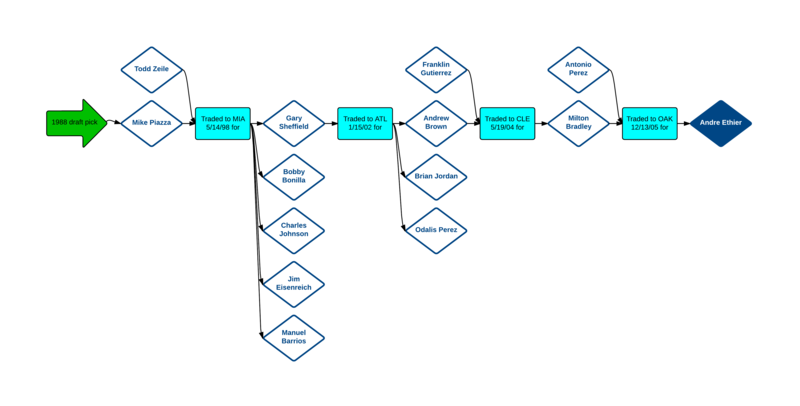 Well, not exactly, but over at Grantland, Ben Lindbergh did something I’ve always wanted to do but never attempted — see how far back you can trace the acquisition of a given player. Puig would suggest a slight tweak to the format. Like many of his teammates on the squad of MLB stars, the 23-year-old played much better in Games 4 and 5 of the series — the only MLB victories in the official five-game series — than he did in the first three. 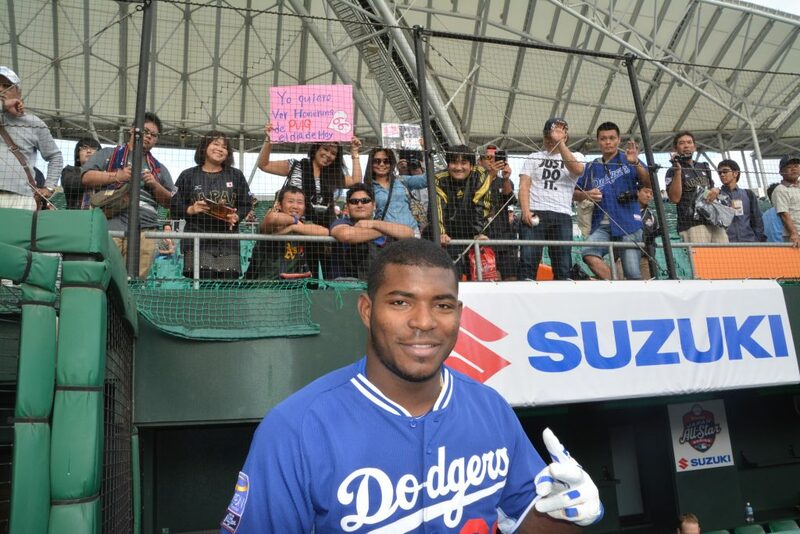 In Puig’s opinion, the guest team should have more time to work out and come together. 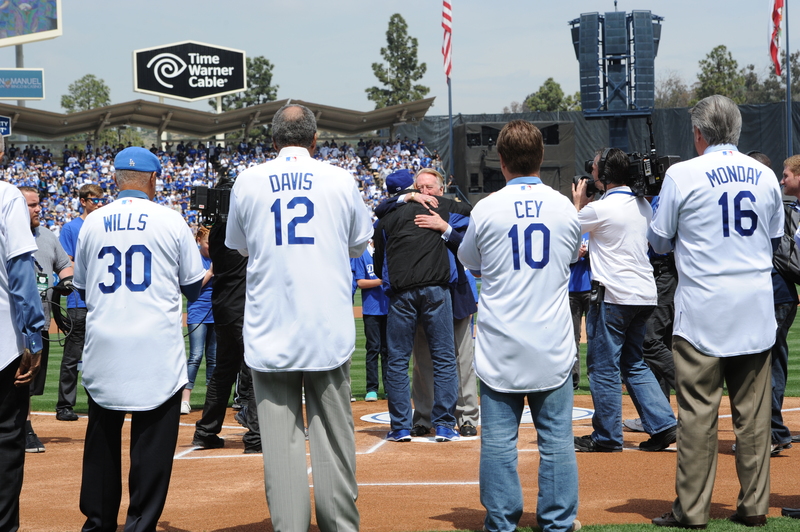 Update: Jon SooHoo has some great photos from Wednesday’s event at LA Photog Blog. 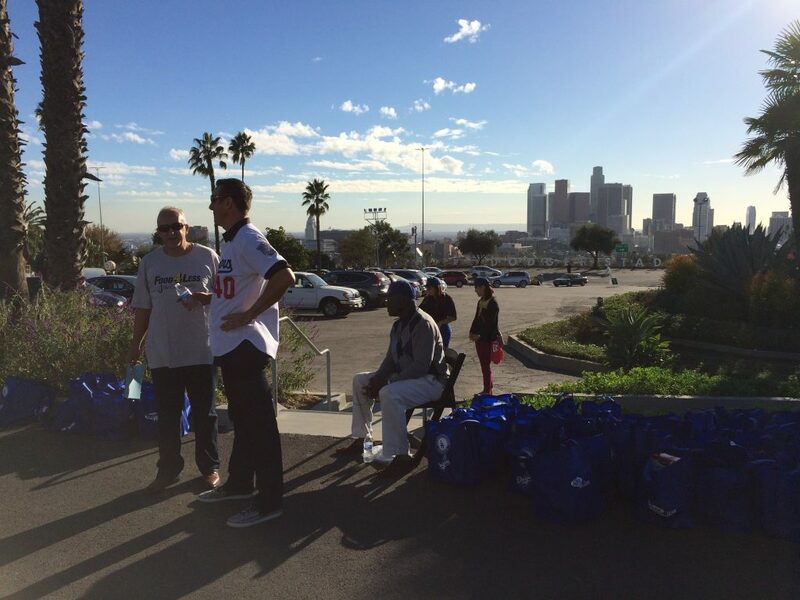 On a beautiful afternoon (and really, I can’t emphasize that enough) at the top of the park at Dodger Stadium, the Dodgers and the Los Angeles Dodgers Foundation (LADF), in partnership with Ralphs/Food 4 Less, hosted the 10th annual Community Thanksgiving Turkey Giveaway at Dodger Stadium — part of the Dodgers/LADF 2014 Season of Giving. 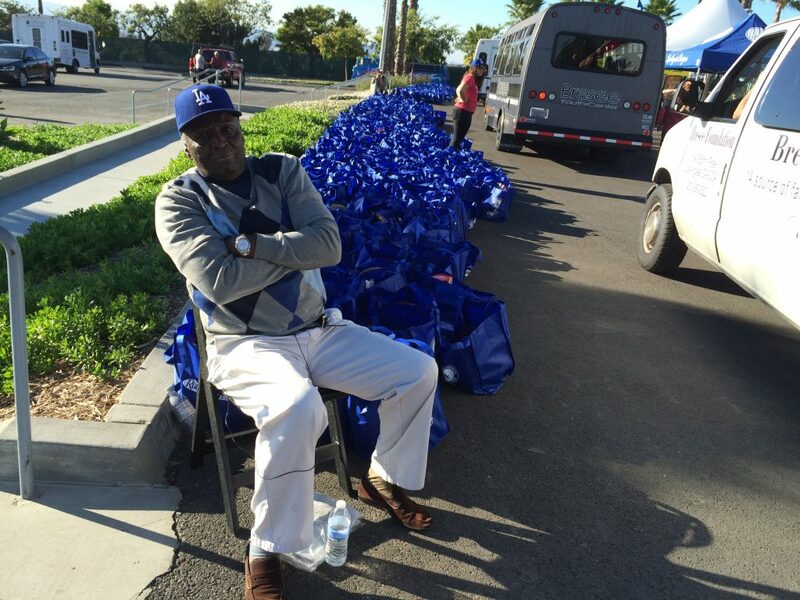 Dodger Alumni League members Al “The Bull” Ferrara, “Sweet” Lou Johnson, Matt Luke and Dennis Powell helped distribute a complimentary turkey, fixings and reusable canvas bags to 1,200 pre-selected families and nonprofit community organizations, who will in turn distribute them to Los Angeles area families in need. Levy Restaurants provided complimentary Dodger Dogs for these families and organizations. The Dodgers also partnered with the offices of Senator Kevin de Leon, Councilmember Gil Cedillo, Councilmember Mitch O’Farrell and Assemblymember Jimmy Gomez on the event.